Over my adult life, I've found that I seem to gravitate towards PlayStation products. This is probably because I grew up with a PlayStation in my house and my friends owned a N64, which I was pretty jealous about until I fell in love with classics like Spyro, Tomba and Crash, which then evolved into Final Fantasy, Digimon and Kingdom Hearts as I grew older, all of which I still love now. It was because of the PS Vita (that some have lovingly dubbed the 'JRPG Machine') I discovered many great JRPGs, such as Persona, Gravity Rush and Danganronpa and because of this love of my Vita and wanting to use my PS4 more, I gave into purchasing a PS Plus subscription because of the allure of six games being adding into my game collection every month. For most PlayStation fans, the PS Plus experience is almost a no brainer because of the six free games a month but if you're a JRPG fan like myself, other aspects of the subscription may seem more attractive because they include JRPGs. Here's a breakdown on my own thoughts as a JRPG fan on PS Plus into this review to help you decide if you really need it or not. Enjoy! To most gamers, the biggest incentive of PS Plus is the Instant Game Collection, which provides subscribers with six games a month, at no extra cost until the end of the subscription. This feature has the potential to be a major hit to some or an unfortunate miss to others as most of the games are either older triple A games or new indie games. If you're someone who is 'JRPGS ONLY' in your approach to gaming, the Instant Game Collection may not appeal very much to you. The only JRPG I remember receiving from PS Plus is Muramasa Rebirth for PS Vita (which I still, unfortunately, haven't played past the tutorial). Looking back at the last six months of PS Plus, there haven't been any JRPGs featured on PS Plus, making it hard to see much incentive if you don't spend a lot of time with other game genres. On the other hand, if you enjoy spending most of your gaming money on JRPGs, the lack of JRPGs can have it's benefits, if you like Western games too. If you're like me and like spending your money on JRPGs and other Japanese games and merch, the instant game collection gives me access to games like Transistor and Rogue Legacy that I otherwise would not have checked out for a long time because I would rather spend my money on JRPGs. It's thanks to PlayStation Plus that I've head the chance to try critically acclaimed Western games while still building my JRPG backlog. The exclusive discounts are where it's at for me when it comes to PlayStation Plus. The PlayStation Network already has amazingly good discounts, but it's thanks to PS Plus' extra discounts on top that I've tried many games I otherwise would have thought are too expensive. Take this month's October sale as an example*. A game I'm interested in for PS4 is Natural Docturine. This month's PSN sale is up to 50% off, but PS Plus offers 70%. Not to get too mathsy, but for a game that was originally $77.95, then $38.98 without PS Plus, with PS Plus I save an extra $15 which is both an awesome saving and also enough to buy a cheaper game on top. Of course, I haven't kept track of the savings I've made from PS Plus, but I am happy with how many games I've been able to buy, even on months when I've had little spending money and I credit most of this to the PSN and PlayStation Plus. *Note: Example used is based on the European/Australian PSN store, using Australian Dollars. PS Plus provides 1GB of space for each PlayStation device you own (for PS4, PS3 and PS Vita only. Sorry old mate PSP <3). This has been super convenient at times, if you own a PS Vita with a 4GB memory card like myself - it saves me from having to use my PS3 to back everything up if I'm feeling lazy. It's also very good backup from a JRPG/general RPG perspective for any games you've spent 100s of hours playing and completing. It's nice knowing that my Platinum Trophy save files for games like Persona 4 Golden and Danganronpa are backed up on both my PS3 and the cloud (even if I'll probably never use them). Even if my PS3 dies (please don't), I have piece of mind thanks to this feature and can keep my saves. Occasionally, PlayStation Plus will give players the change to try exclusive demos, betas and if developers are feeling really nice, sometimes whole games. During my time as a subscriber, none of this has ever been that JRPG related, but I'm not one to complain about more free things to try. It may not be a standout feature for now for JRPG fans (I'd honestly for the most part forgotten about it), but is a great feature when it features a game you're interested in. Online multiplayer on PS4 is locked unless you have PS Plus, which isn't a big deal to me as JRPGs are generally single player-based games. If you enjoy other Japanese games like fighting games or occasionally play Western games like Destiny, you may be interested in this feature. I don't use it often as I usually prefer to play single player games and haven't really dived into PS4 land enough to have even found any JRPGs that can use this (while writing this article though, I did find that Natural Docturine does use this feature). Maybe in future this will be a more important feature, but for now it's not a feature I utilise much and will be more important to other people. Ultimately, you may not find the same value as other gamers do in the monthly free games, but features like the exclusive discounts cam save lots of money and the cloud service works across all my devices, which gives me piece of mind for my platinum saves. As with anything, your enjoyment of this subscription service will depend on your gaming preferences, but as a person who probably plays 75% Japanese games and JRPGs and 25% other games, I find value in the free games because I never feel like I'm missing out on other games while I purchase the games that I'm drawn to. Having features like Online Multiplayer and Exclusive Access might not be features I've used much now, but they add to an already good value subscription service. If you buy games from PSN regularly and predominately use PlayStation consoles to play your JRPGs, Playstation Plus is great way to make sure you can always save during sale time and enjoy a bunch of other bonus features. If you're interested in PlayStation Plus, you can purchase a subscription from your local PlayStation Network Store. 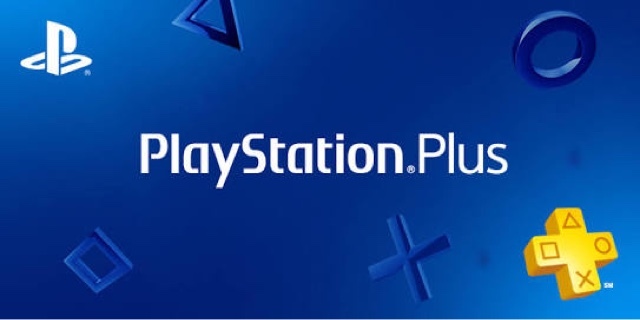 Leave your opinion on PlayStation Plus in the comments below! Note: Not sponsored, just love my PS Plus.